How will Lush’s &apos;anti spy cops&apos; campaign play with its target audience? June 27, 2018, 8:54 a.m. Soap and cosmetic product pioneer Lush found itself in hot water recently, following its campaign which railed against police corruption. The campaign, in partnership with Police Spies out of Lives, aims to draw attention to incidents of police malpractice, during which members of the force infiltrated the homes lives of activists. It was initially launched in early June, with a poster of a model dressed both as a policeman and an activist, with the slogans “Police have crossed the line” and “Paid to lie”. Lush has resumed the campaign following the decision to remove an initial iteration, which was taken down from stores due to fears for staff safety. As with many brands trying to stay at the forefront of the marketing agenda, Lush has attempted to adopt a social stance or ‘purpose’ and integrated it into their brand marketing efforts. This trend can better align a brand with its target market, while helping to position the company as ethical. 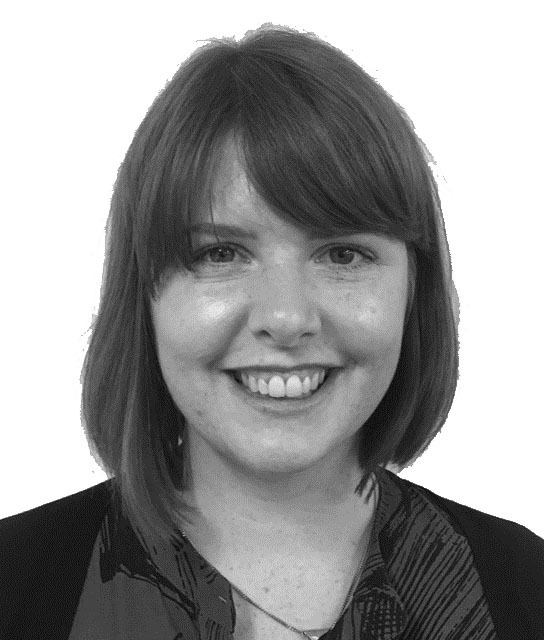 An example of a brand that has done well to integrate its social purpose into its marketing is Tom’s shoes – who give a pair of shoes to a child in need for every pair bought. However, if it is done badly, it can look misjudged and jarring – think of Pepsi and its Kendall Jenner advert. YouGov BrandIndex data indicates how this particular effort has performed. Our data shows that the campaign has given a knock to the brand’s consumer perception. 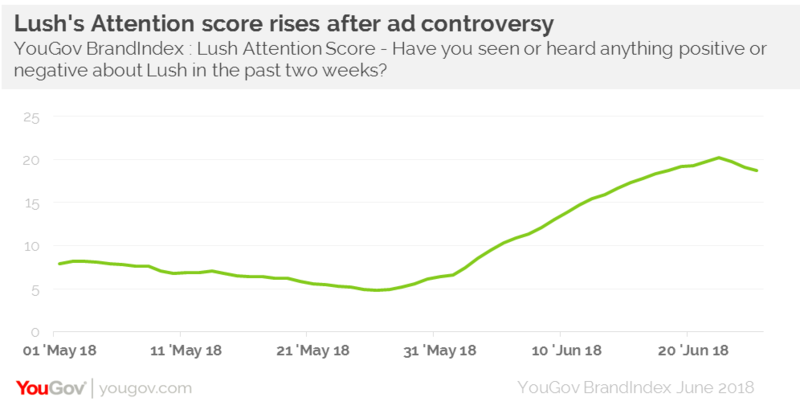 Lush’s Attention score (whether someone has heard news about Lush) has risen drastically from +5 to +21, underlining the headlines that the campaign has generated. Crucially though, the noise that people are hearing is negative, with the brand’s Buzz score (whether people are hearing positive or negative news) declining from +7 to -5. Lush is well known for having a long history of highlighting activism and standing up for causes it believes in, and its customers are likely to have a similar stance or appreciation for their values. While the campaign may risk alienating the general public, they may only be concerned about appealing to the nature of this much smaller group. According to YouGov Profiles data, Lush’s campaign may well have resonated with its target market. Those in this group are less likely to say that they trust their local police force than the average (55% vs 73%) and they are more likely than the average (46% vs 37%) to say that they don’t mind paying more for companies who have ethics and values they agree with. That said, they are also more likely to say that they are strongly in favour of political correctness (20% vs 13%), so while they may agree with the sentiment of the campaign, its aggressive nature may not sit as well as expected. Having a social purpose is becoming more common and important to brands, but in many cases it need not be the priority. For example, seven in ten (70%) say they just tend to stick to brands that they like, be that for price, quality or whatever reason. Perhaps brands should therefore place more emphasis on marketing and selling their well-loved products to loyal customers rather than risky campaigns that could damage perception. Whether or not the campaign will have a lasting effect on the brand remains to be seen, but Lush can take comfort from the fact that it entered the row in a relatively strong position in terms of brand perception. Once the initial media furore dies down, Lush may well have lost any potential custom from those who may not have thought to shop with it anyway, while regulars may have their ties with the brand renewed.